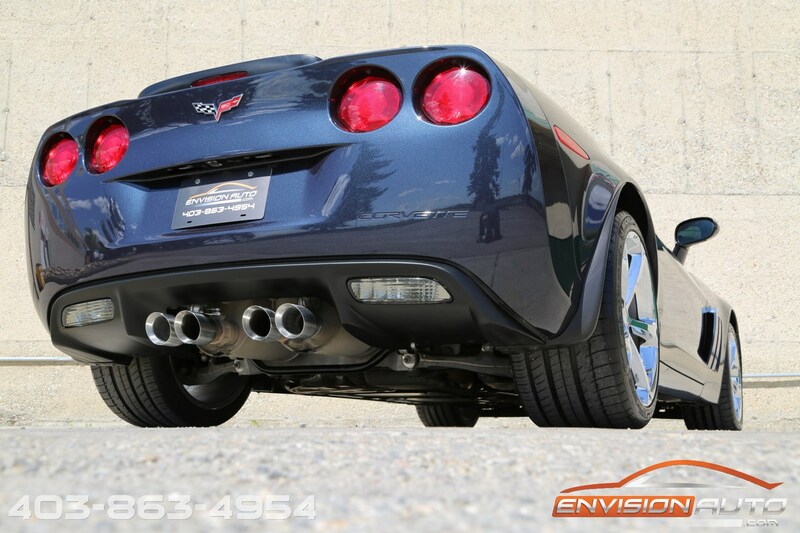 Color : –Night Race Blue Ext. 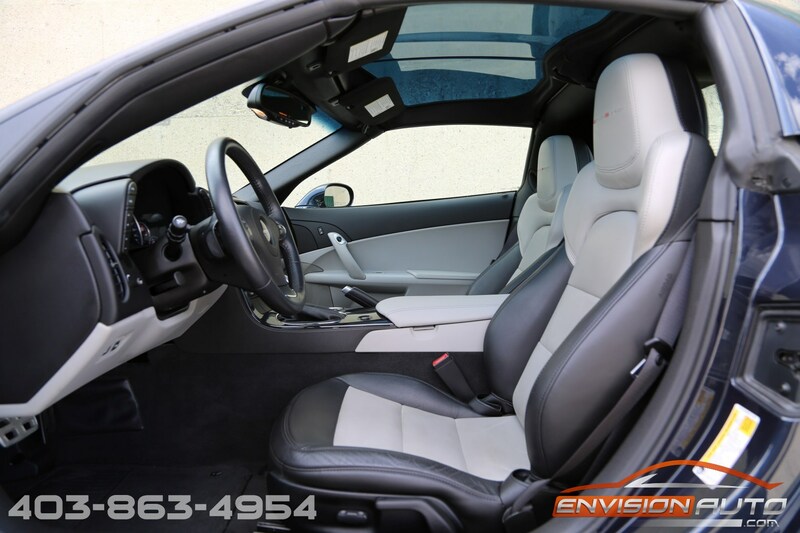 w/ Black & Grey Leather Int. 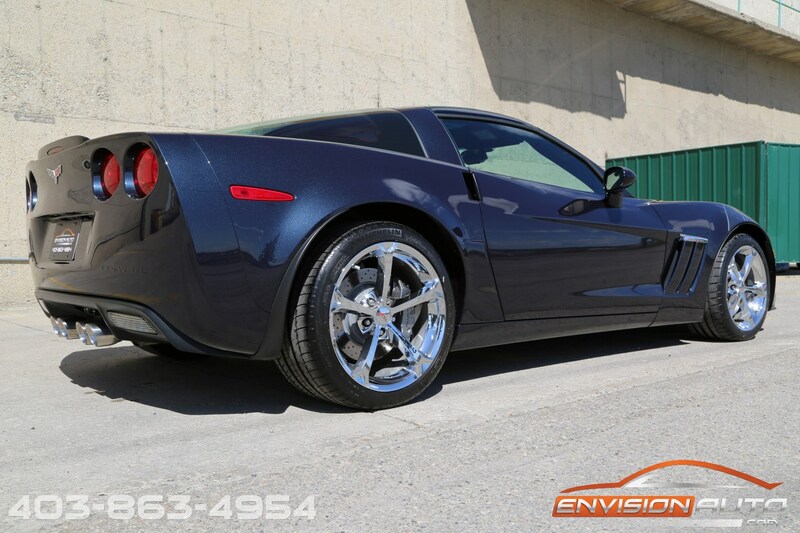 More Details : – HERITAGE PACKAGE \ AUTOMATIC TRANSMISSION \ 2LT OPTION PACKAGE \ HEADS UP DISPLAY \ TRANSPARENT GLASS ROOF \ DUAL MODE NPP EXHAUST \ FOUR BRAND NEW MICHELIN PILOT SUPER SPORT TIRES JUST INSTALLED \ SPOTLESS CARPROOF HISTORY REPORT \ ONLY 24,800 KILOMETERS! 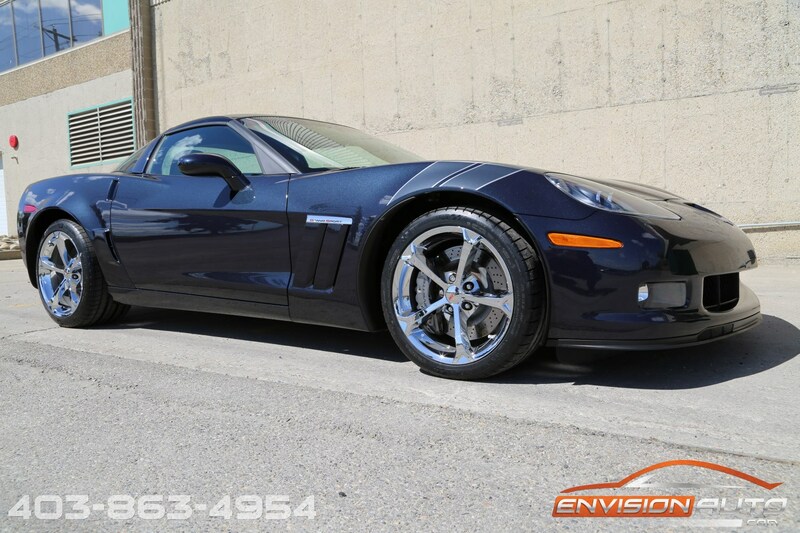 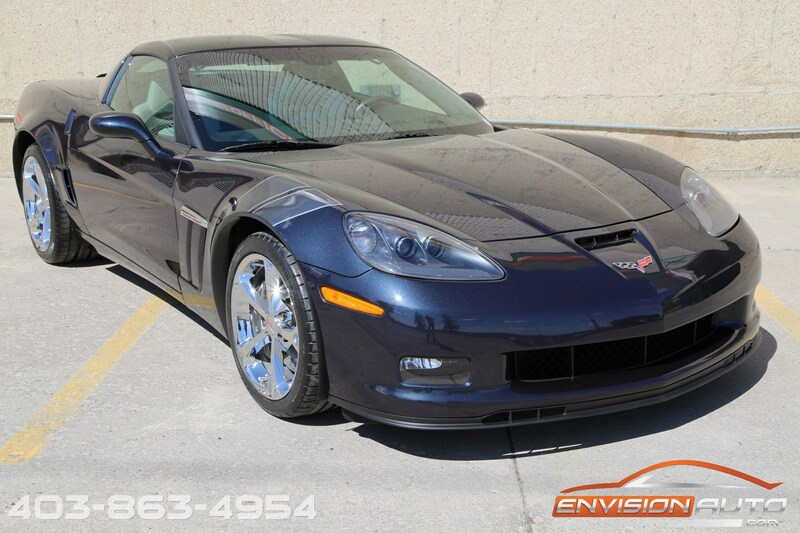 Very rare find, this 2013 final year C6 60th anniversary edition Grand Sport Coupe comes in stunning Night Race Blue Metallic exterior finish – only produced for the 2013 model year and this is one of only 616 Grand Sport Coupes produced in total in this color. 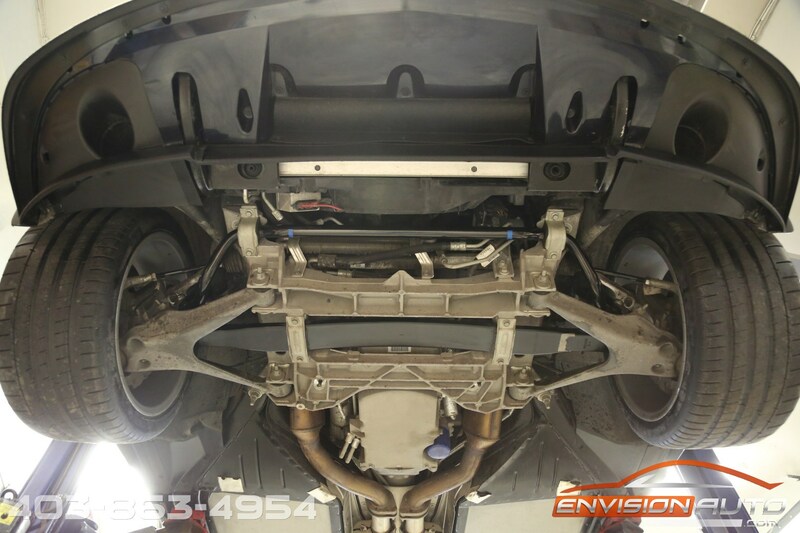 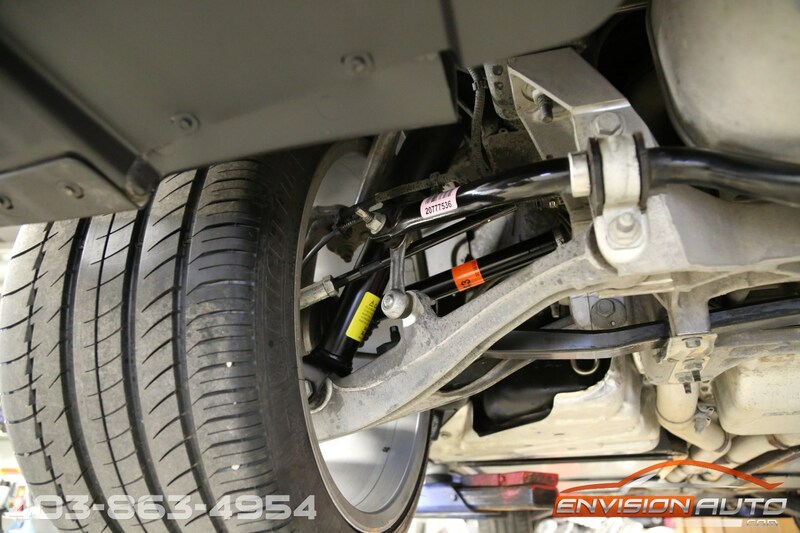 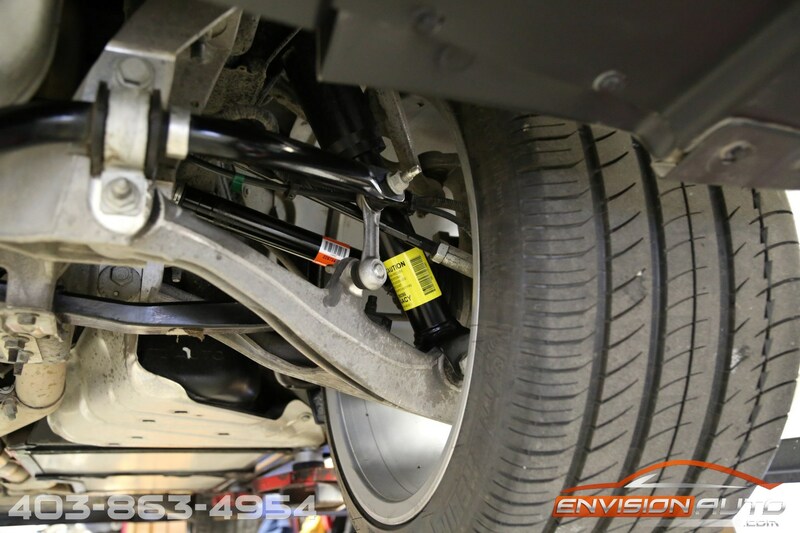 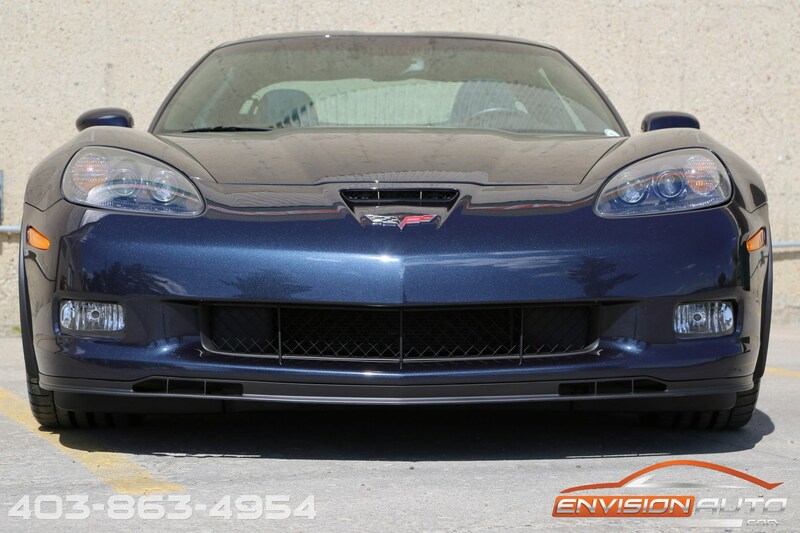 Additional highlights include special ordered cyber gray headlamp bezels, gray painted brake calipers, transparent see through removable roof panel, and the NPP dual mode exhaust system. 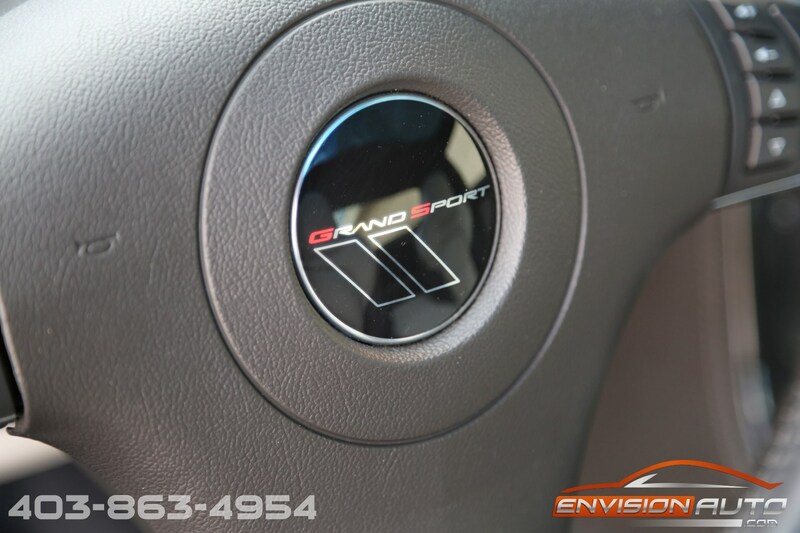 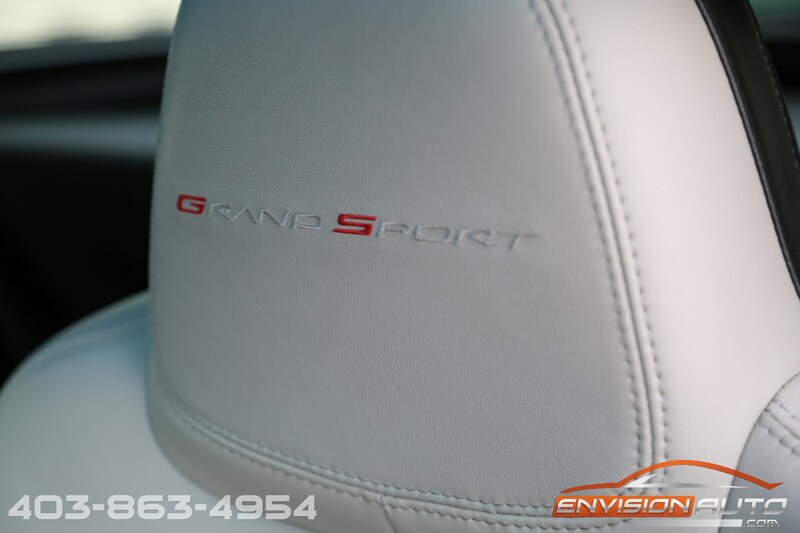 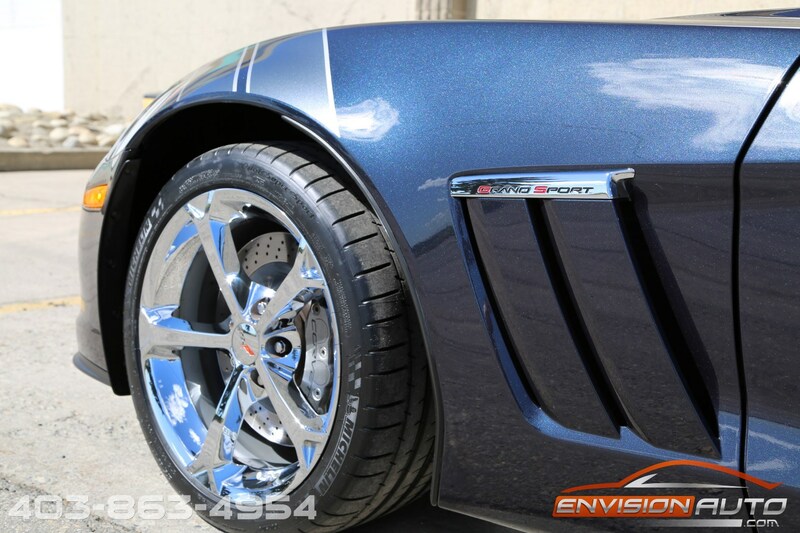 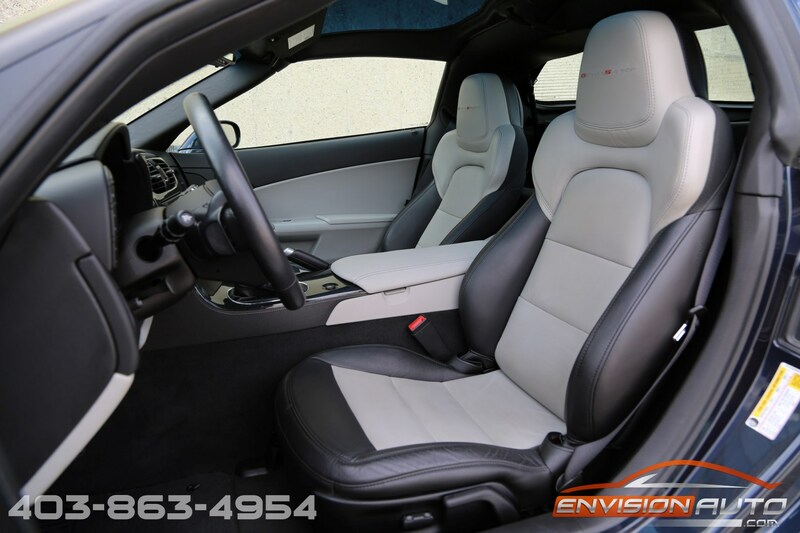 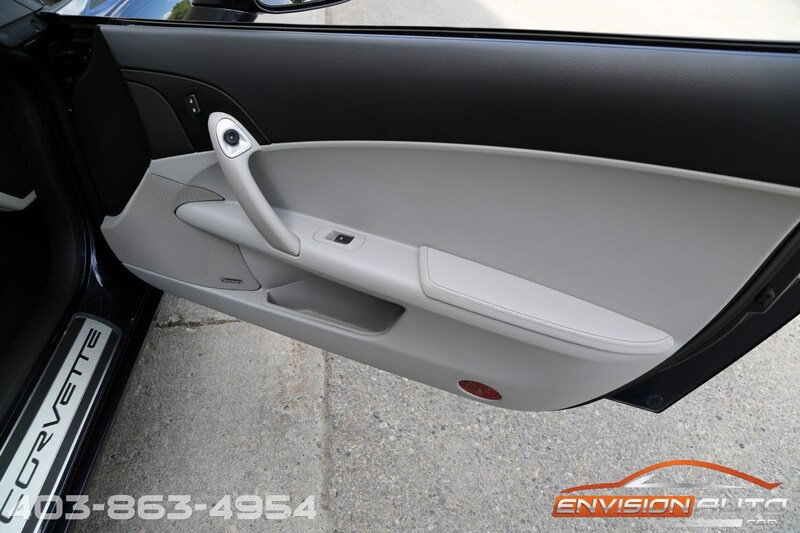 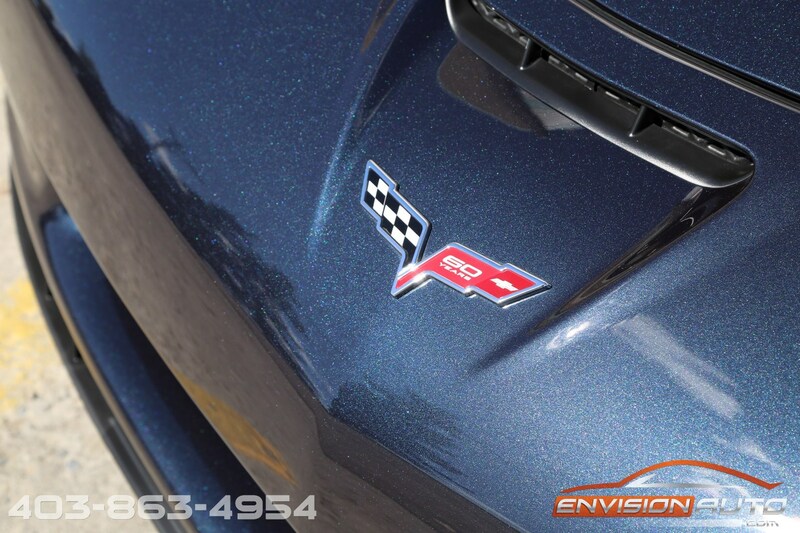 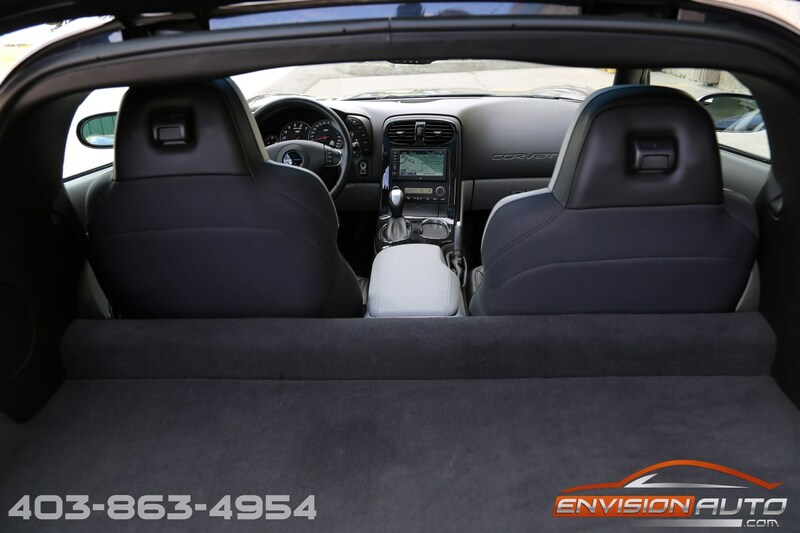 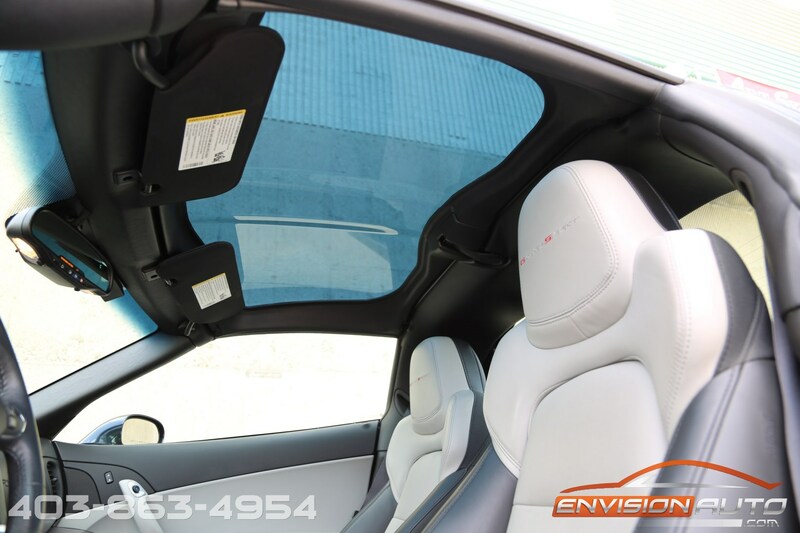 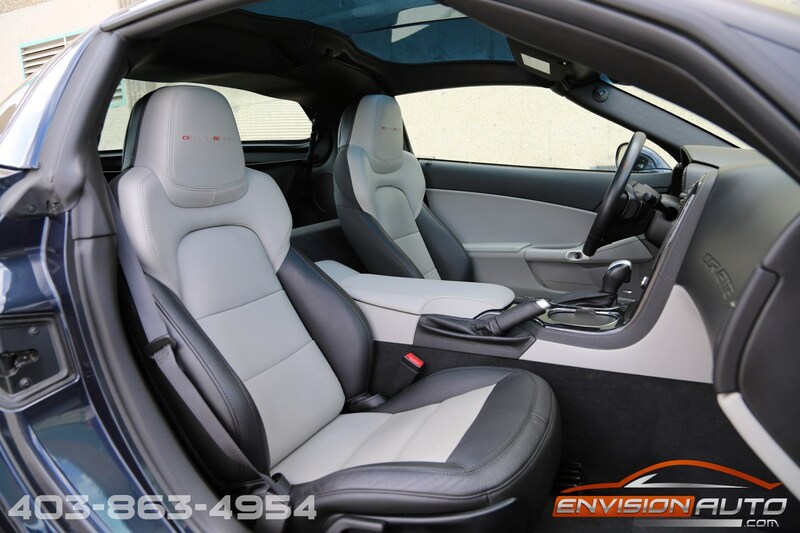 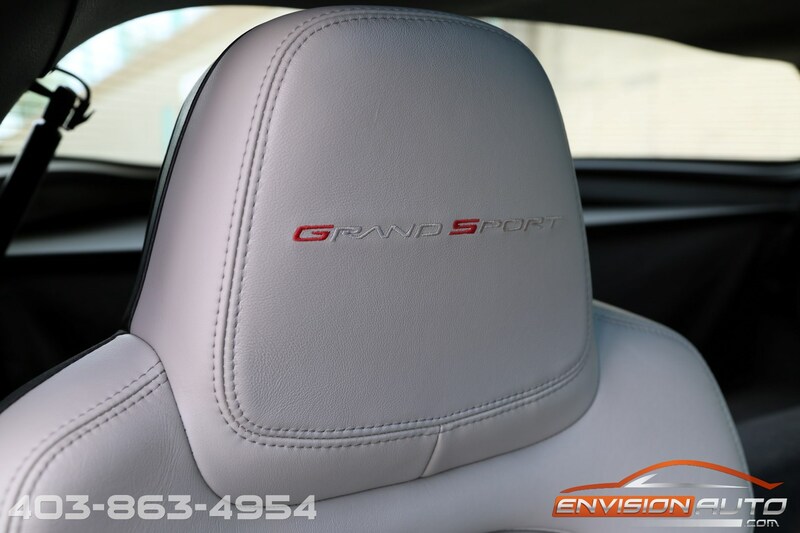 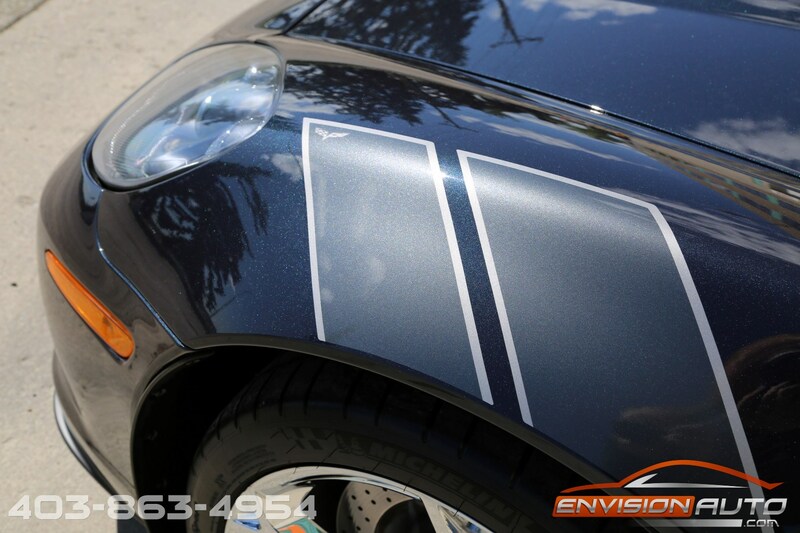 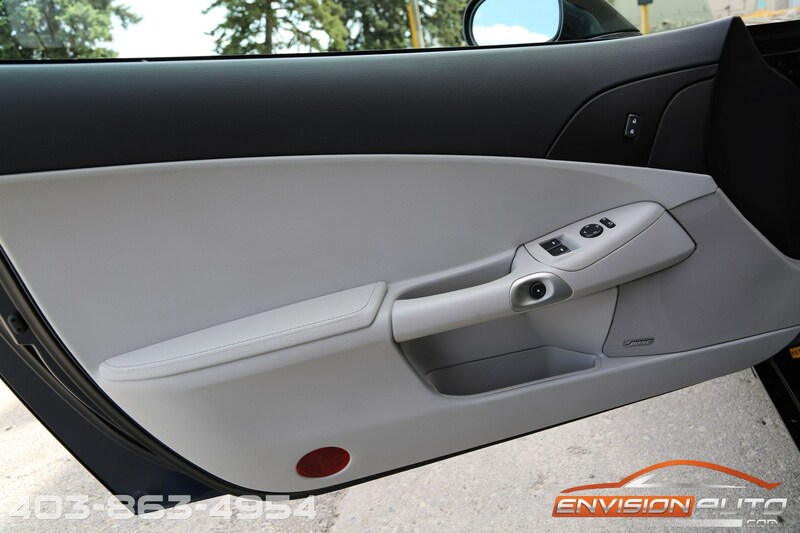 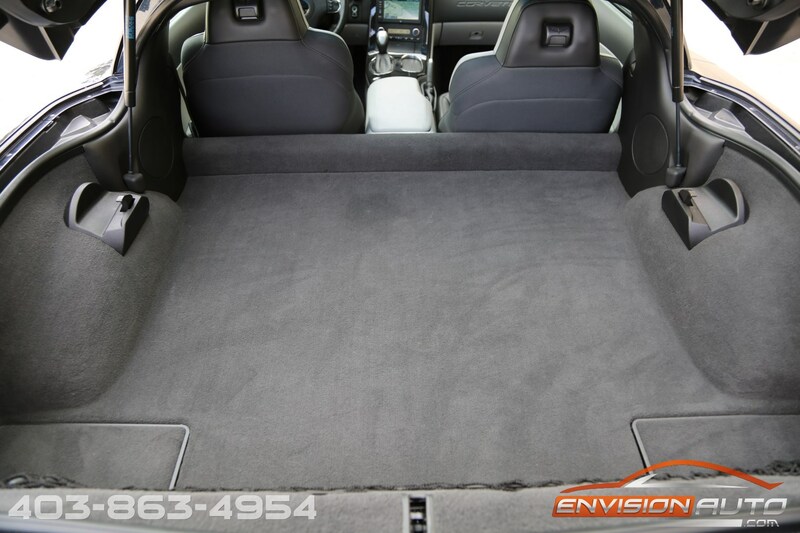 This particular Grand Sport also comes equipped with the Heritage Package which includes gray hash marks on the fenders and two tone ebony and light titanium leather interior with Grand Sport specific stitching/badging. 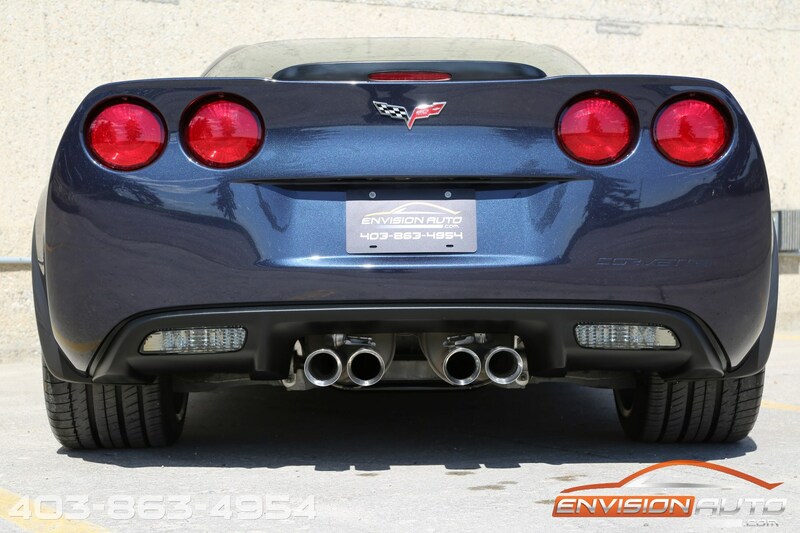 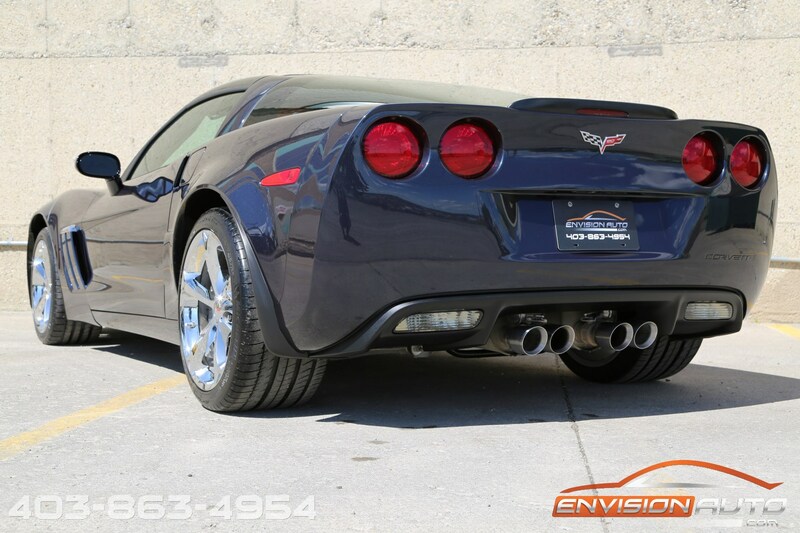 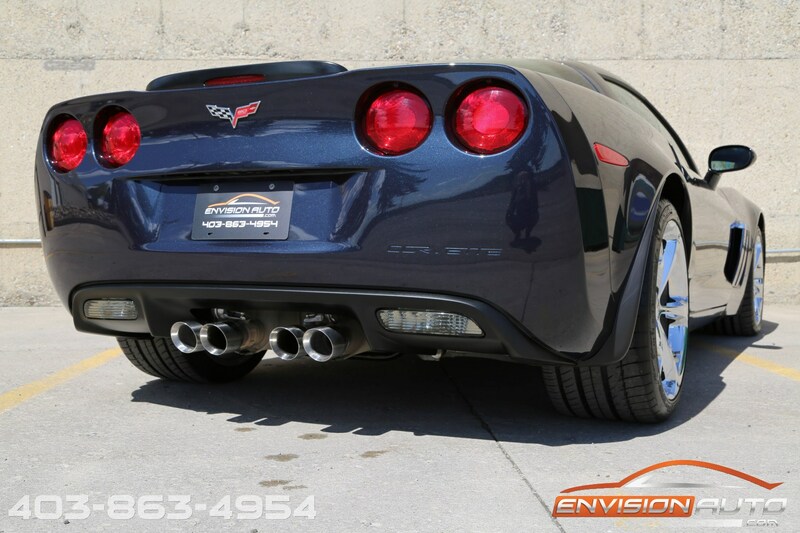 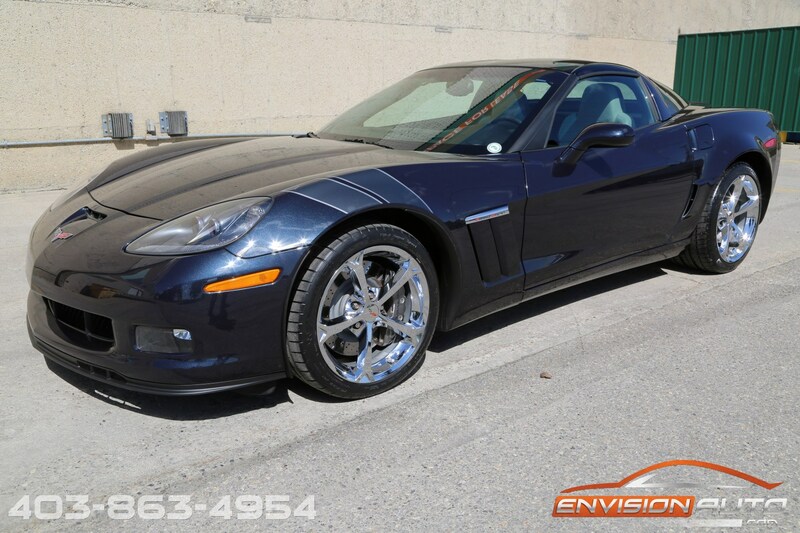 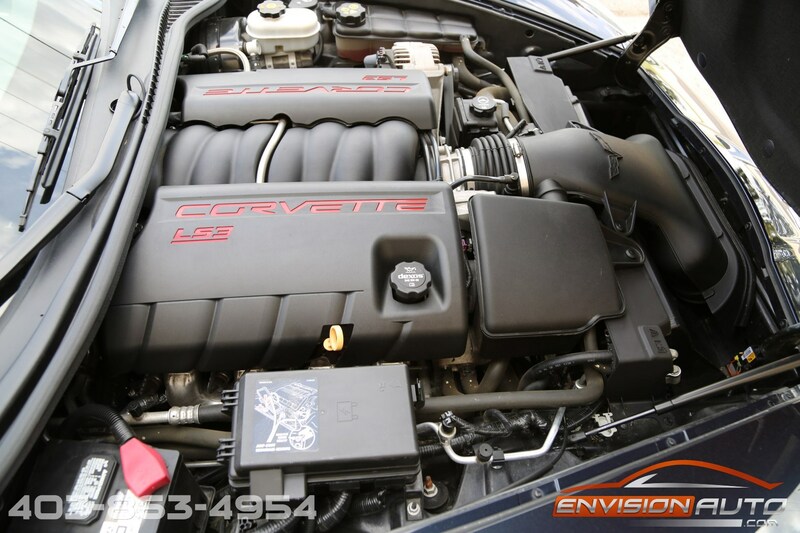 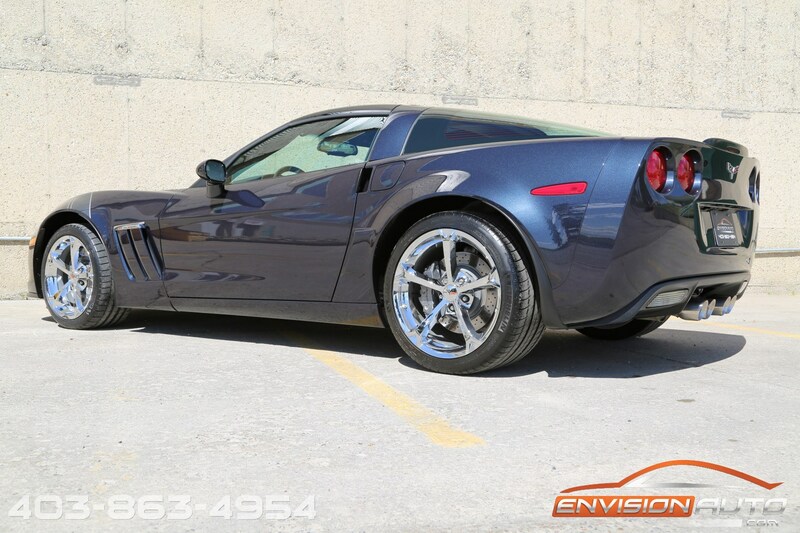 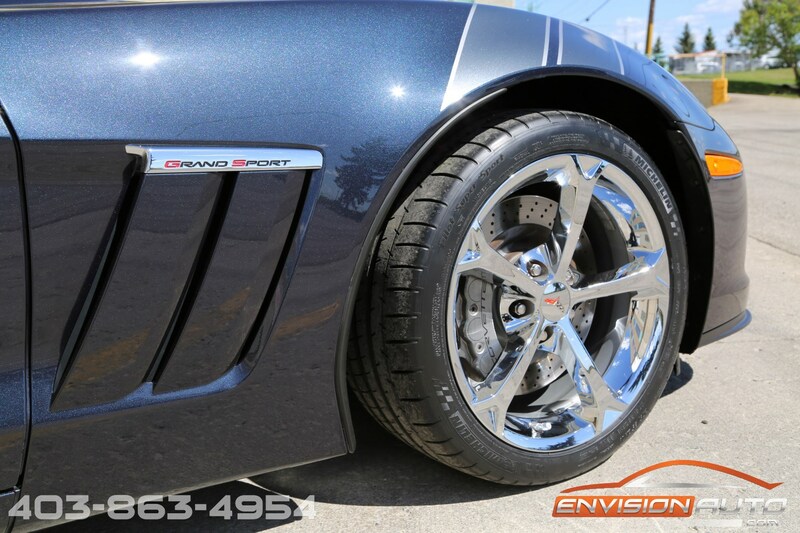 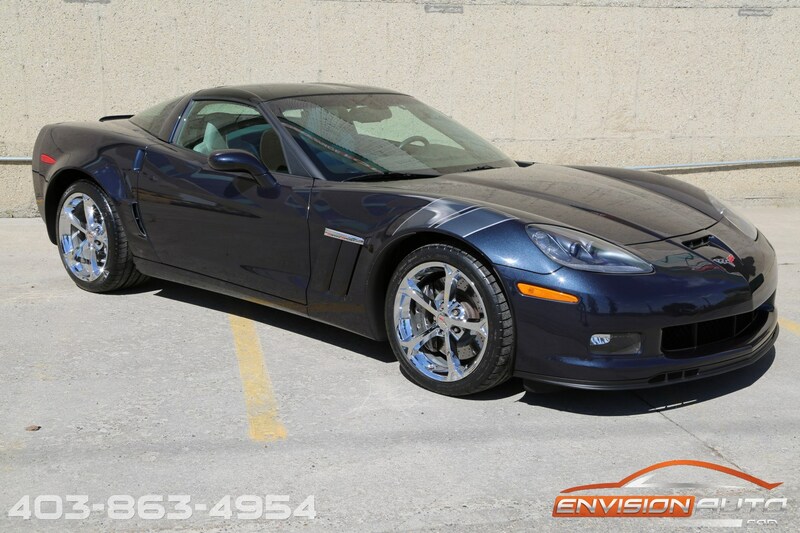 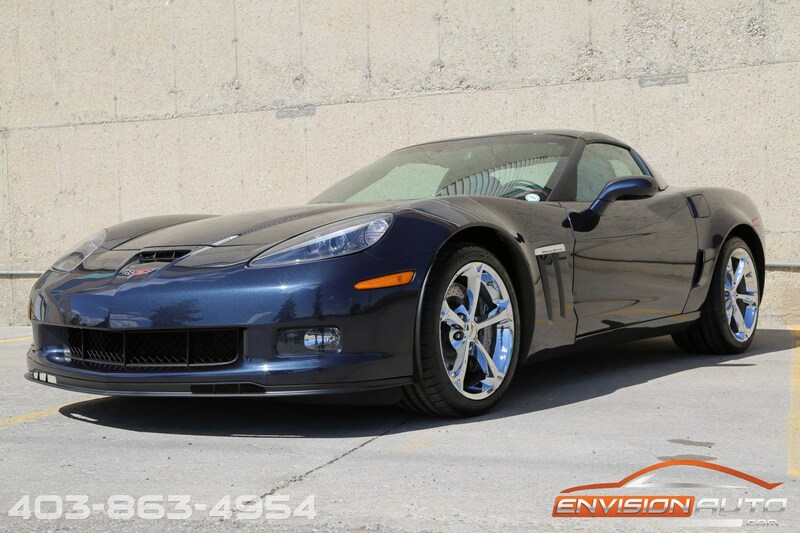 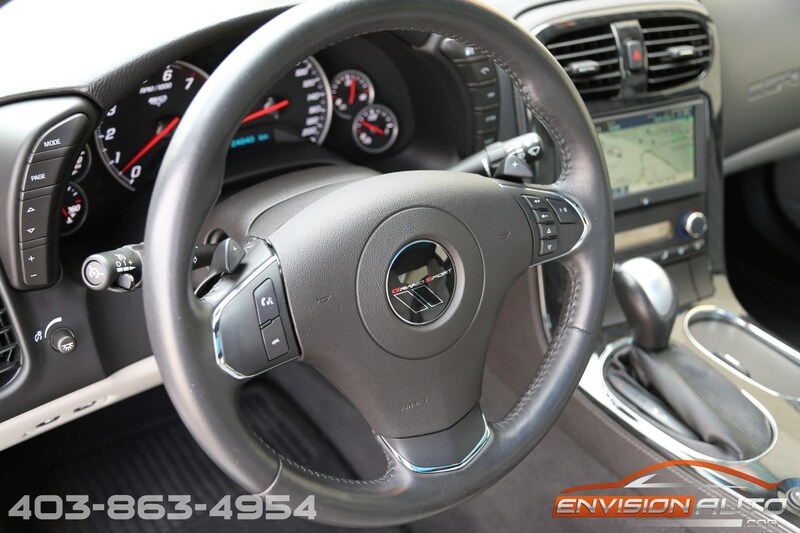 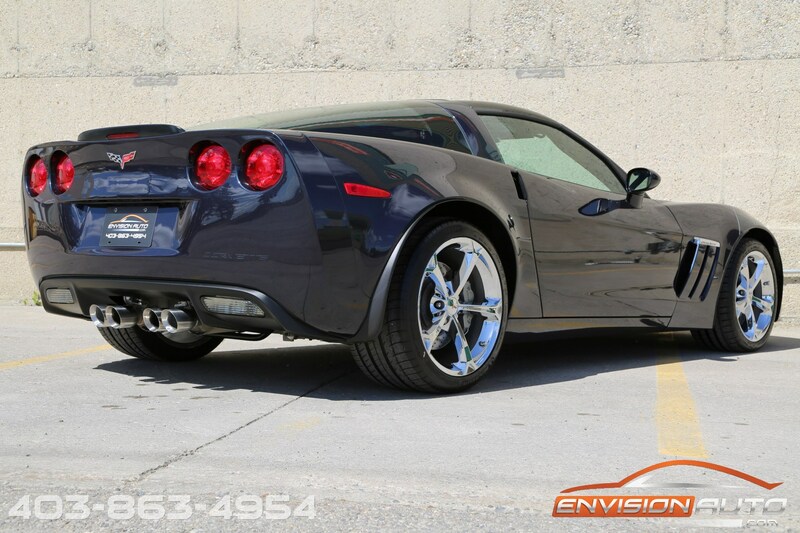 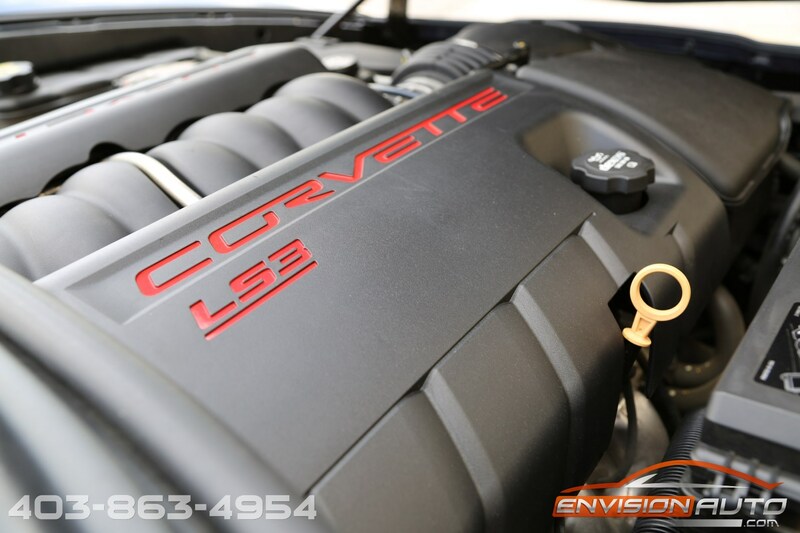 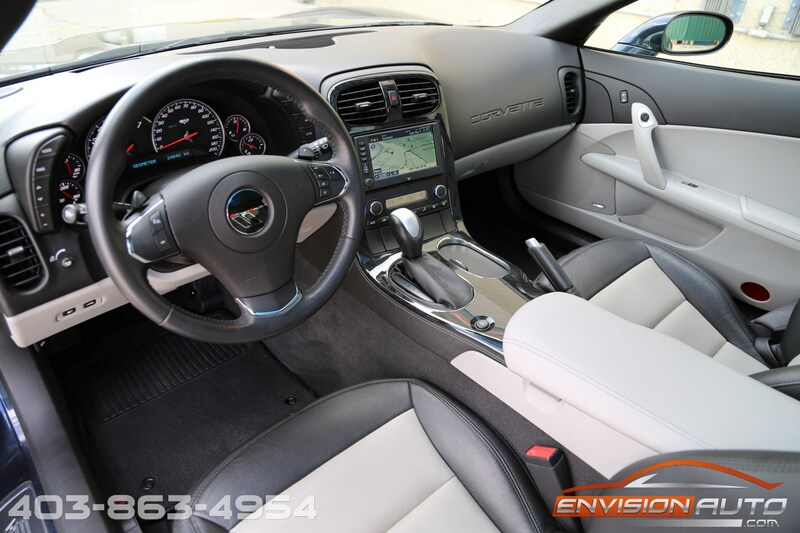 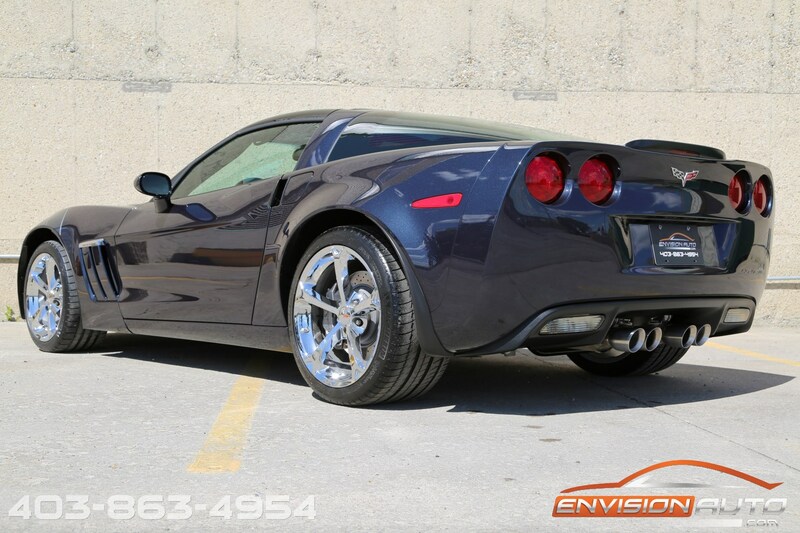 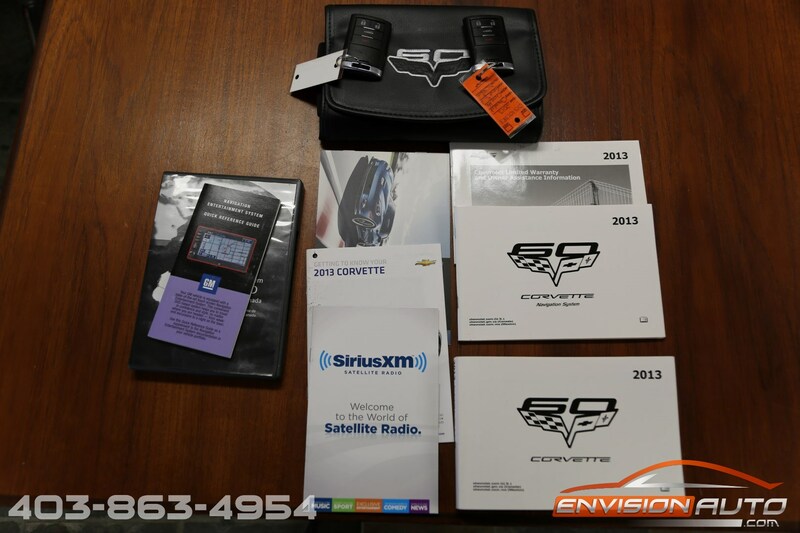 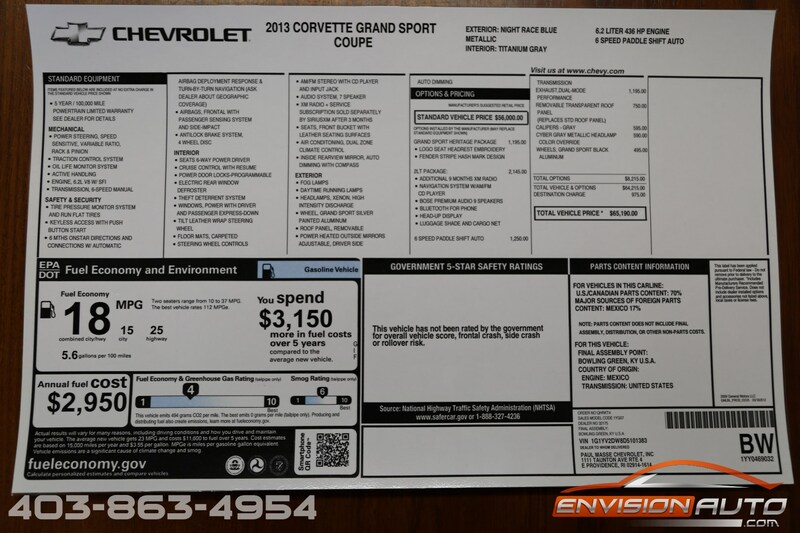 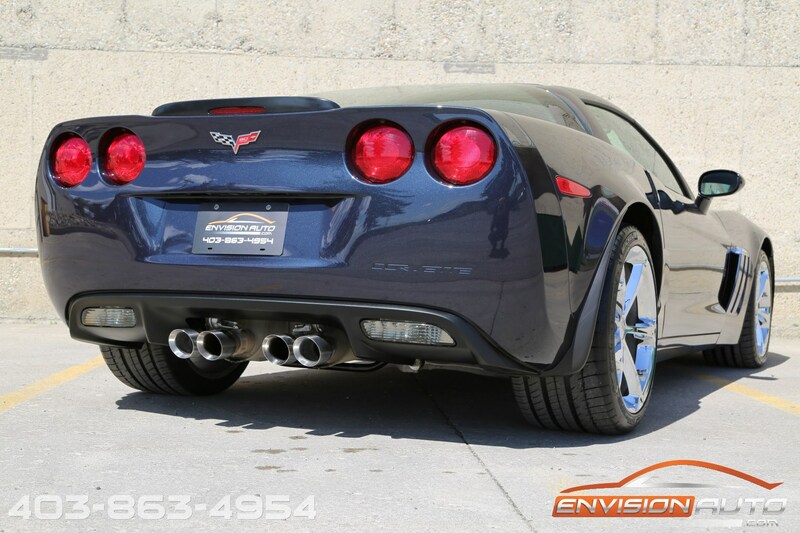 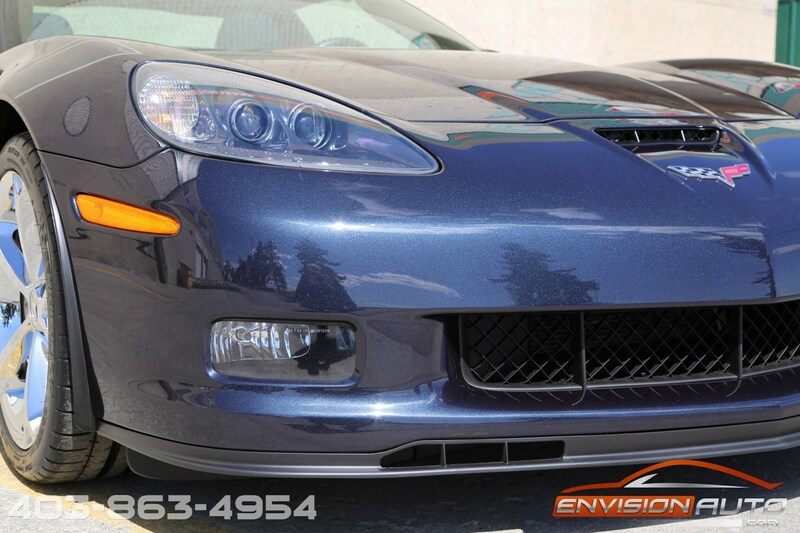 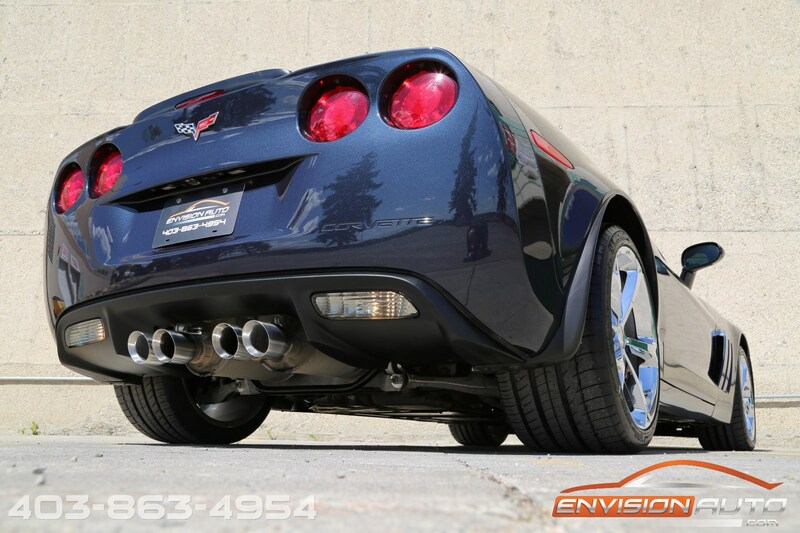 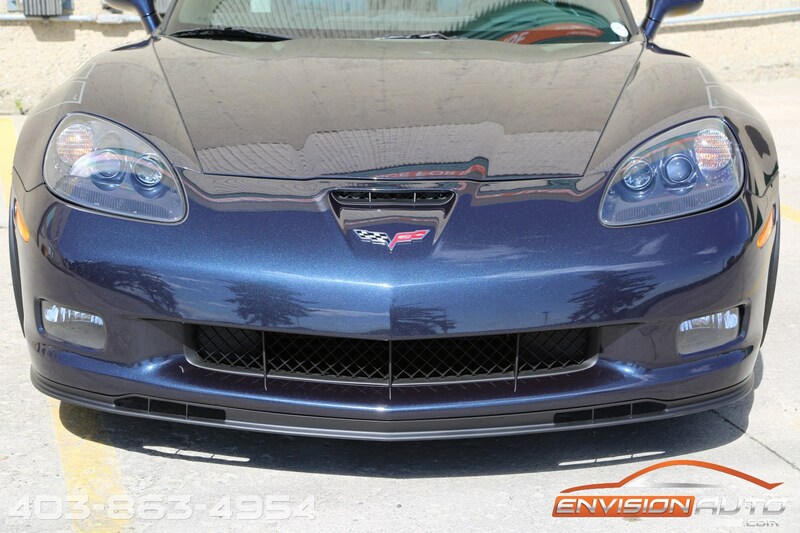 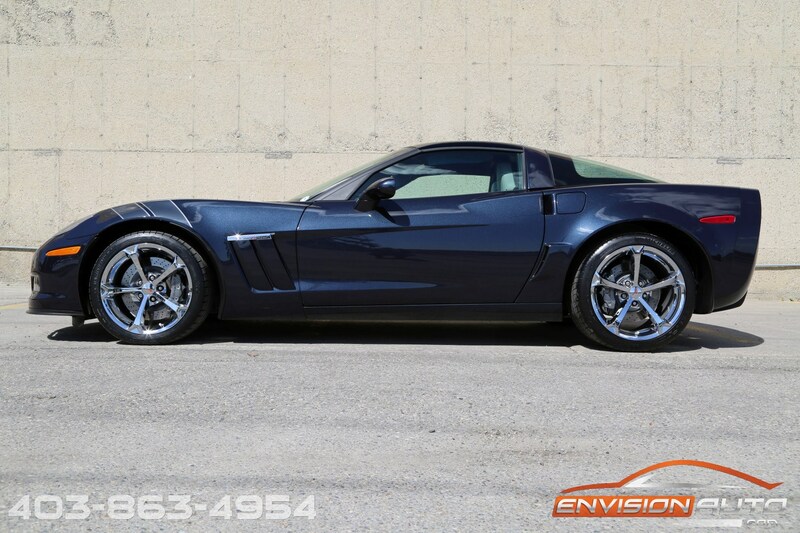 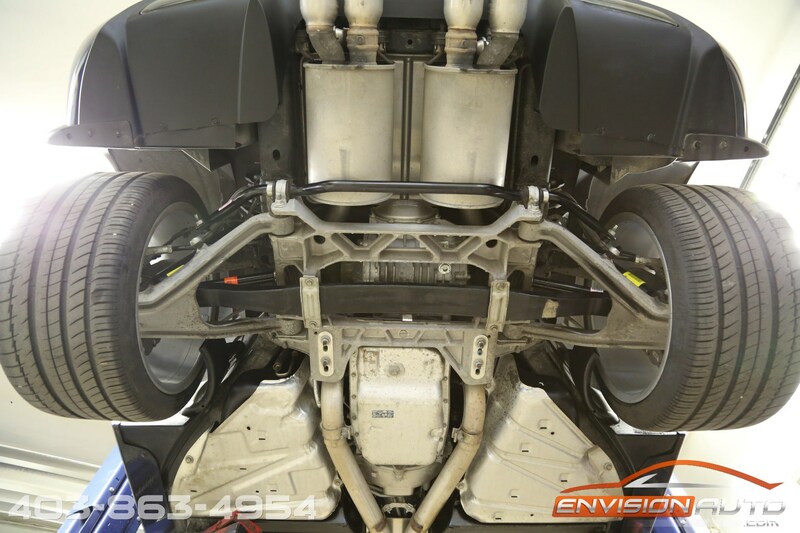 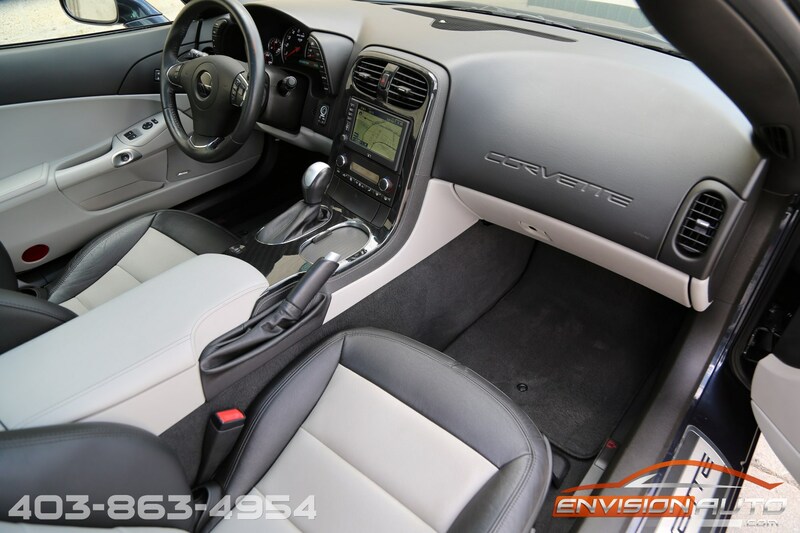 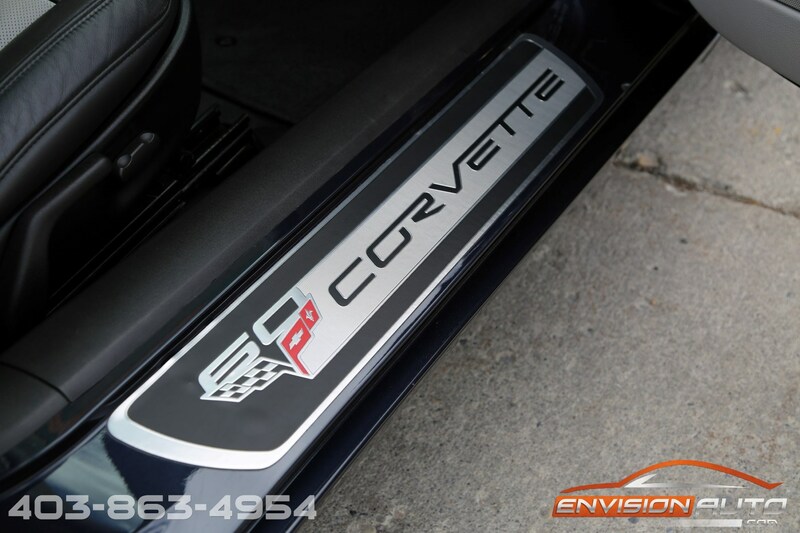 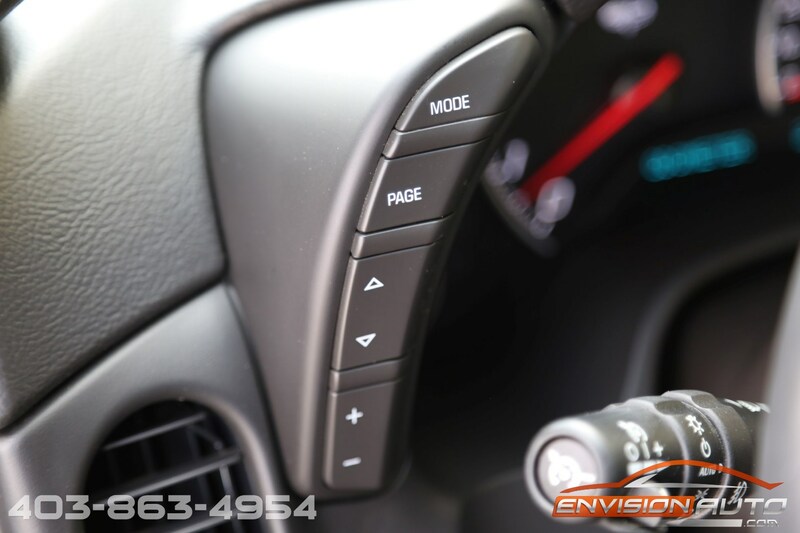 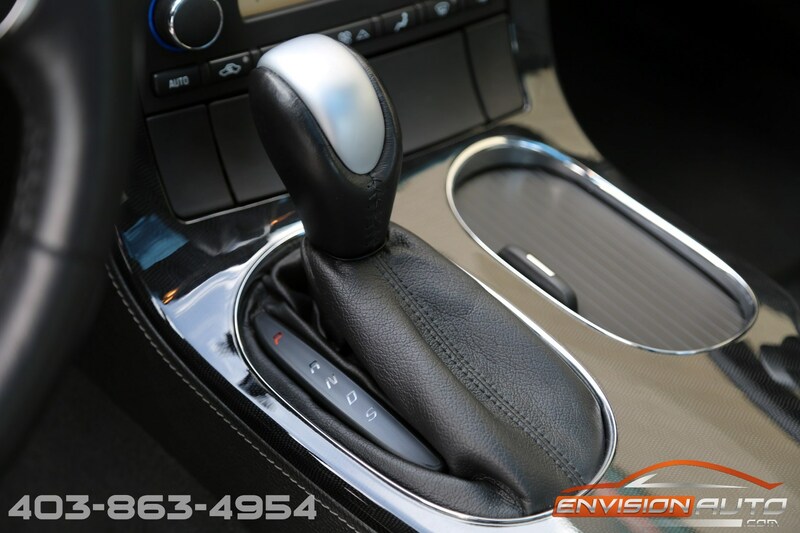 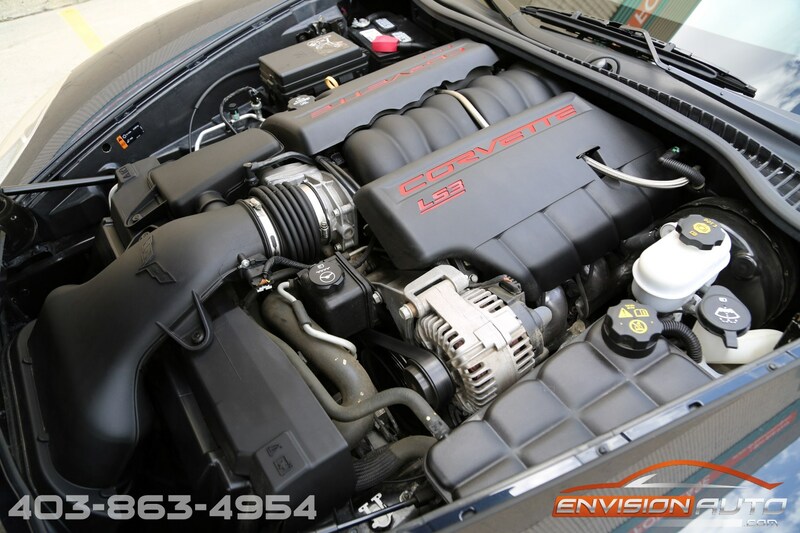 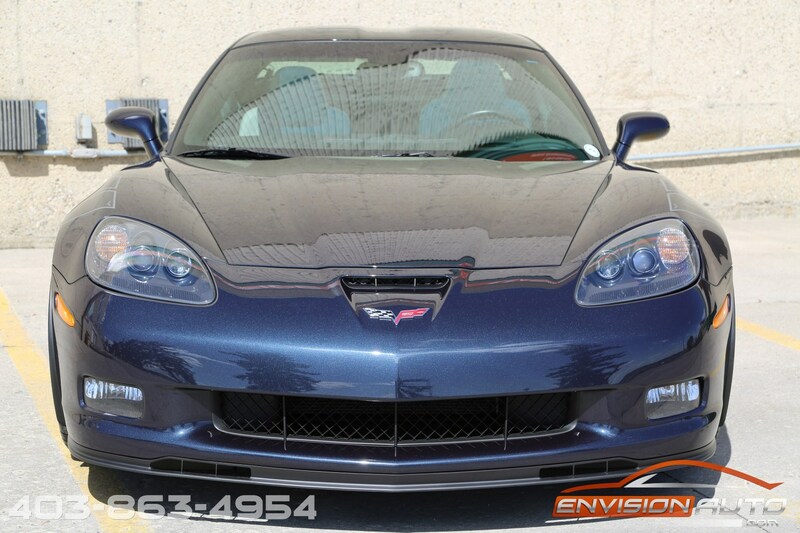 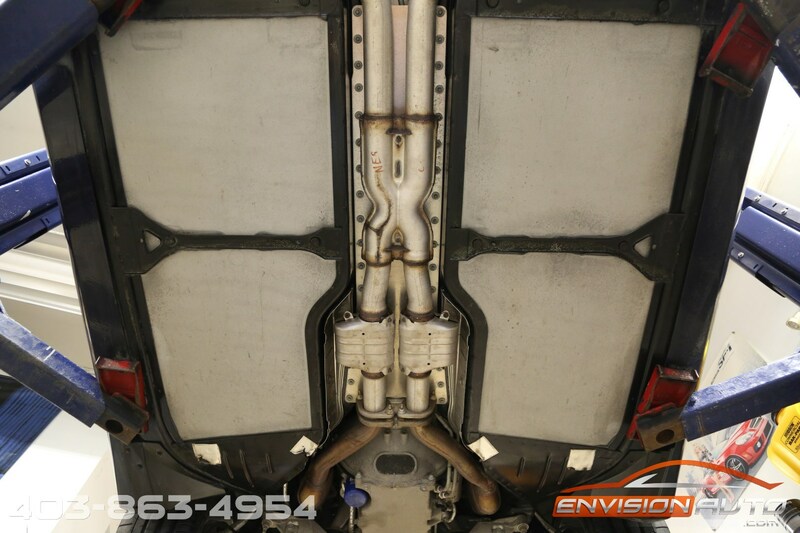 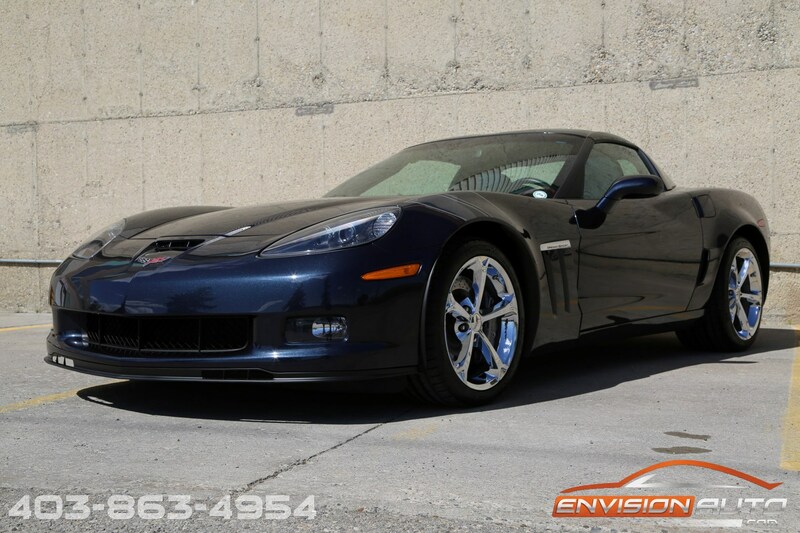 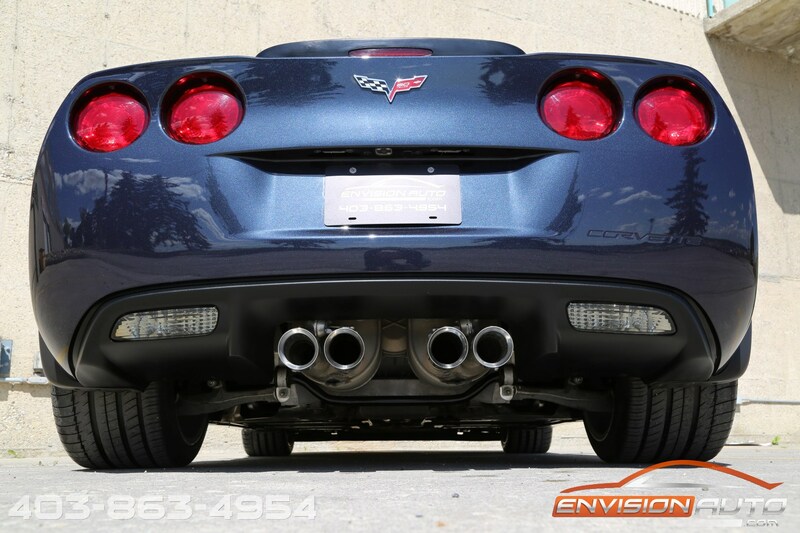 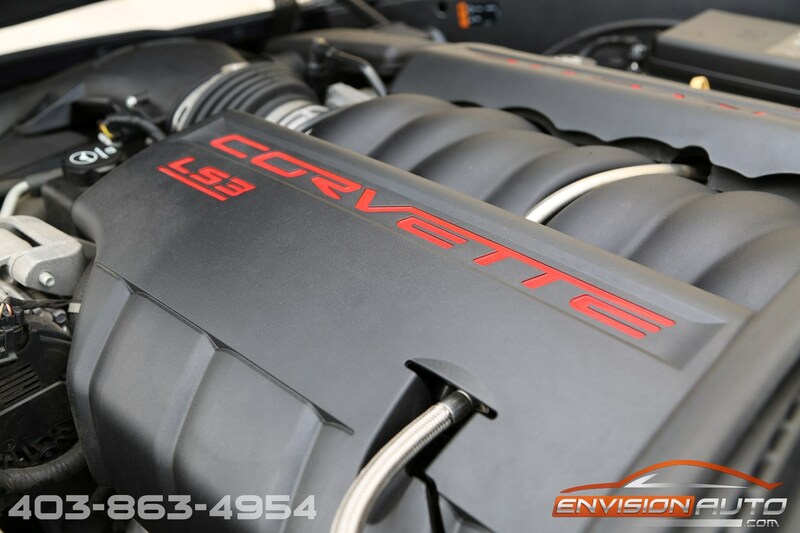 6 Speed Automatic Transmission with Paddle Shifters mated to the 6.2L V8 LS3 Engine rated at 430 horsepower and the factory equipped dual mode (NPP) exhaust system gives this car all the go and the deep Corvette V8 rumble to back it up! 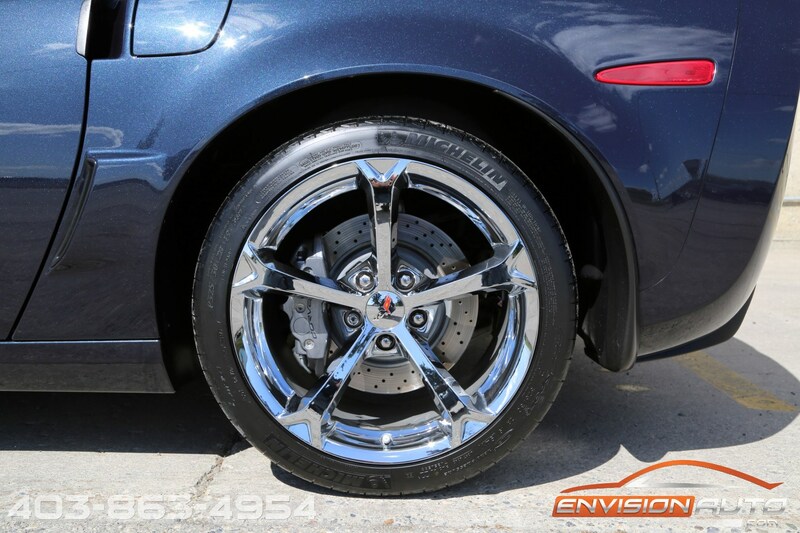 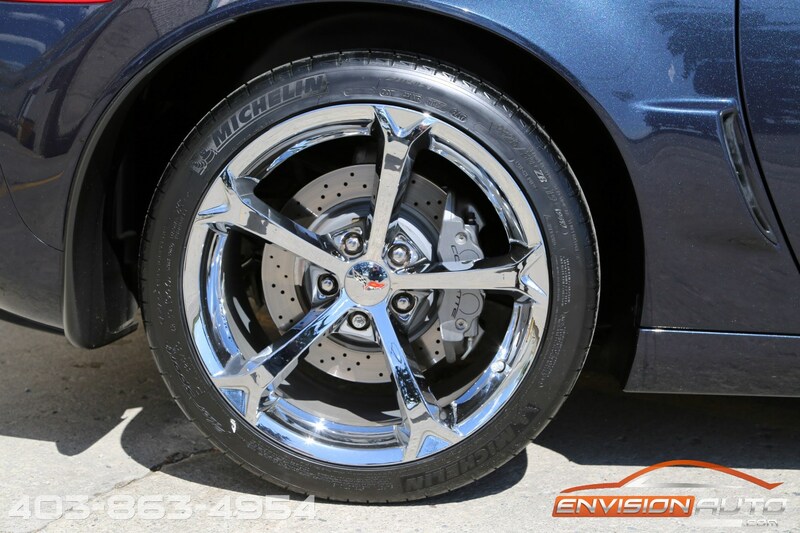 Factory original chrome grand sport wheel package with four brand new Michelin Pilot Super Sport tires just installed, a recent oil change, and a complete 300 point safety inspection just completed means this car is ready to go for a maintenance free season of driving! 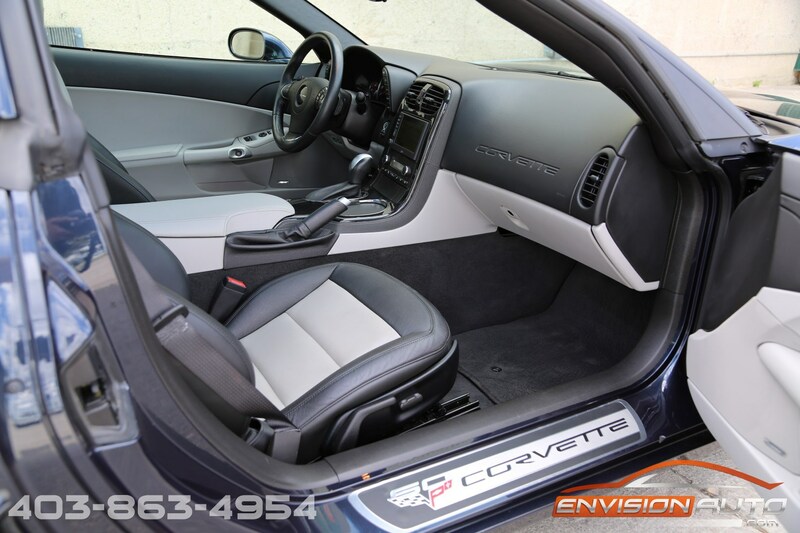 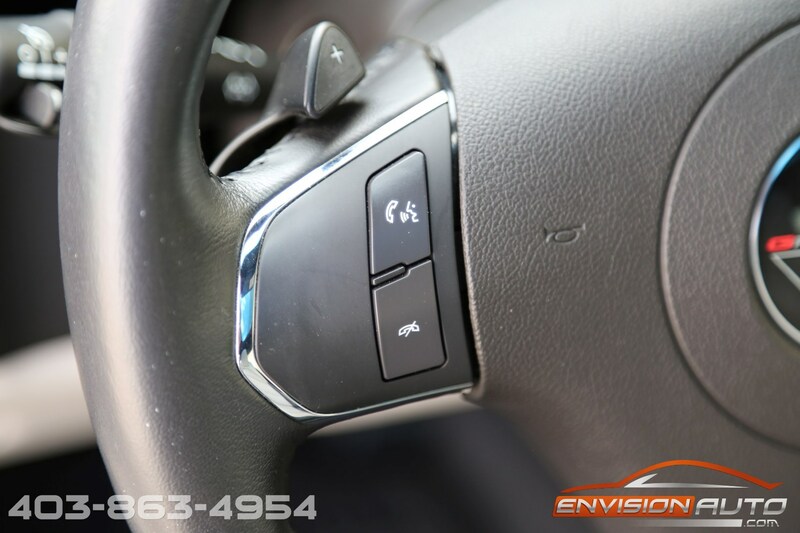 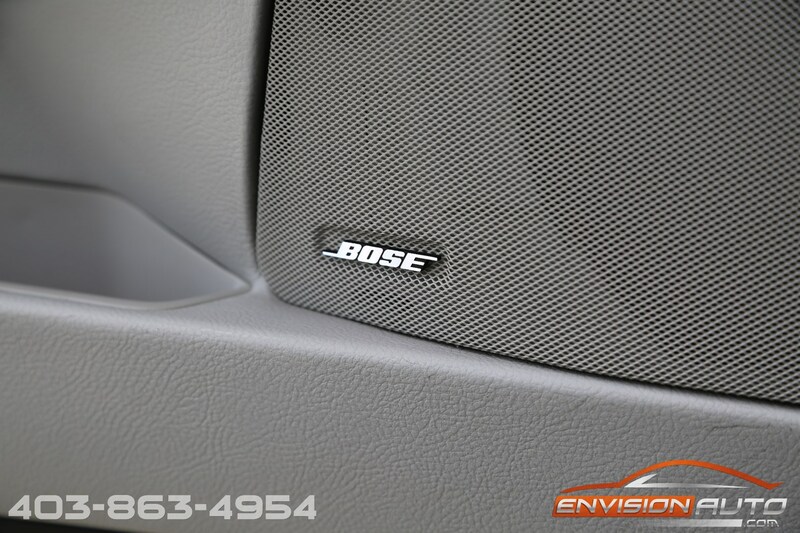 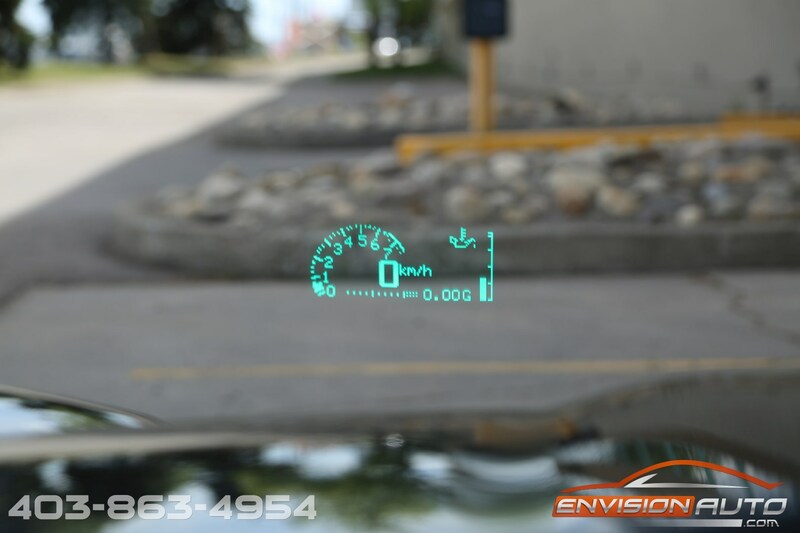 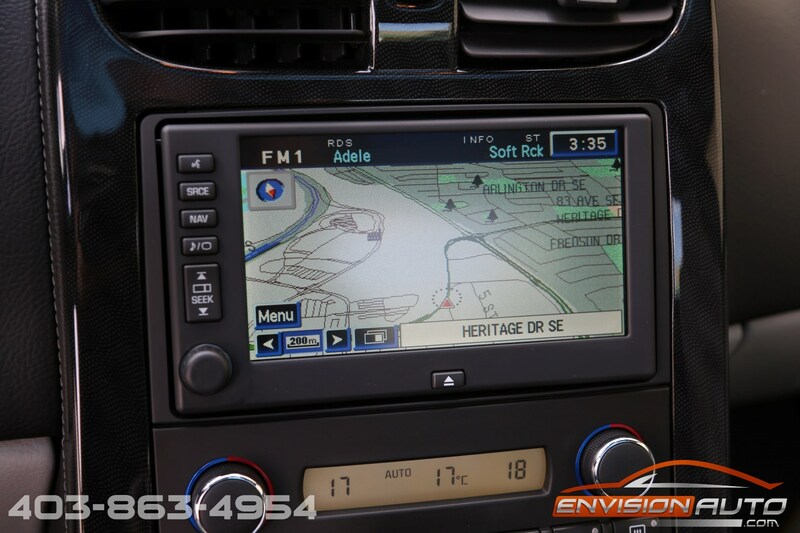 The 2LT factory option package includes navigation, heads up display, Bose premium 9 speaker sound system, Bluetooth hands free, XM Satellite radio and remote start. 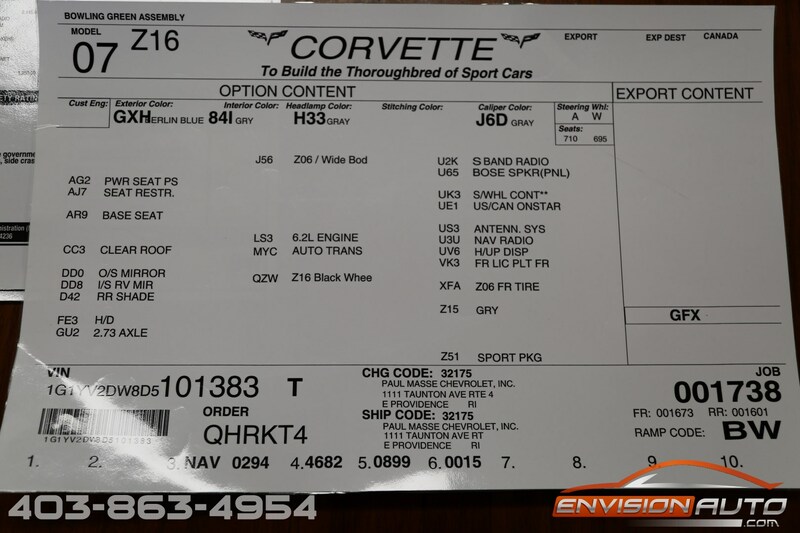 Pride of ownership is evident throughout on this beautifully cared for car and the original factory window sticker and build sheet both come laminated, both factory keyfobs and all original owners manuals are present. 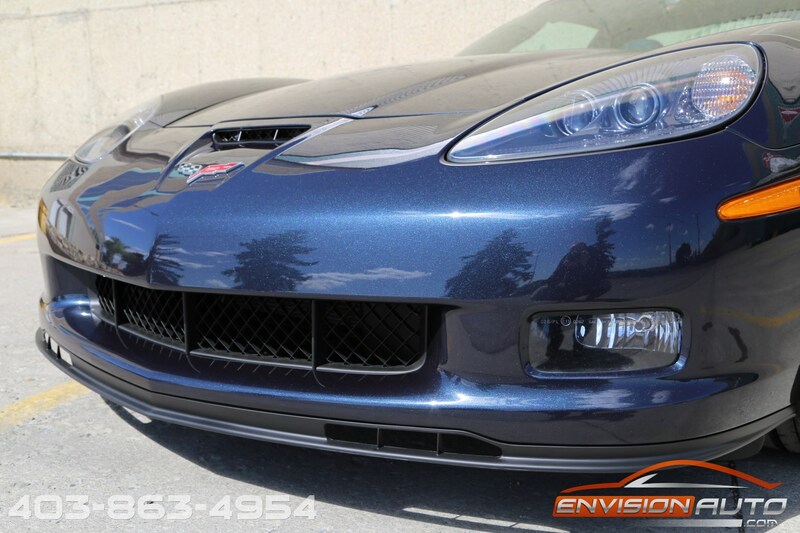 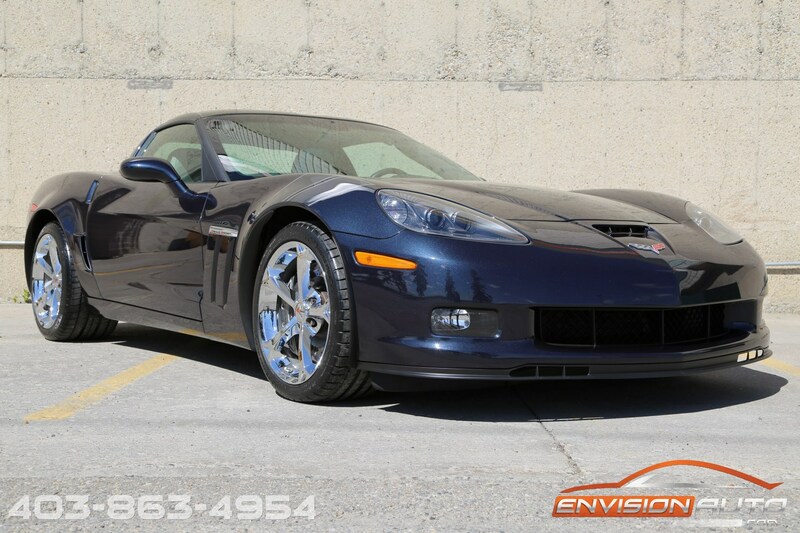 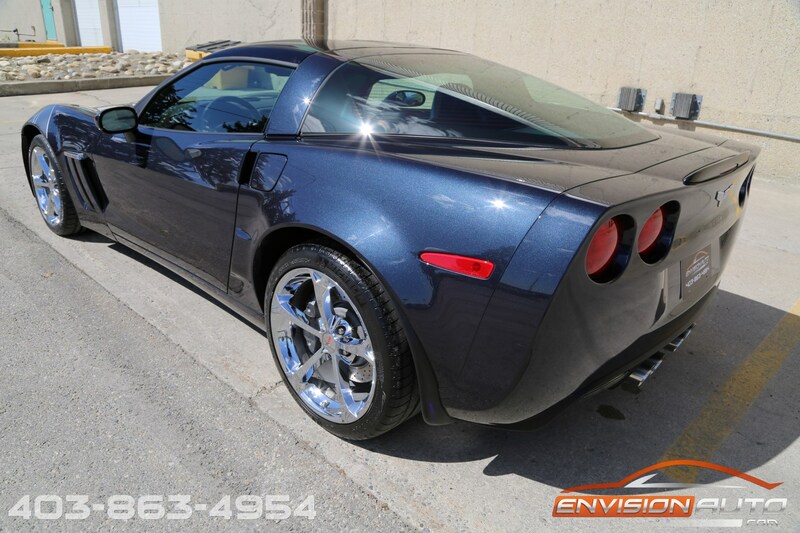 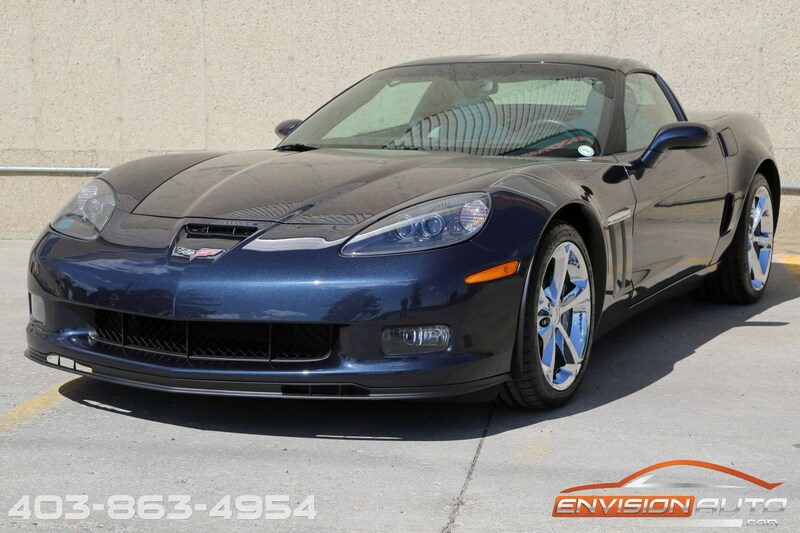 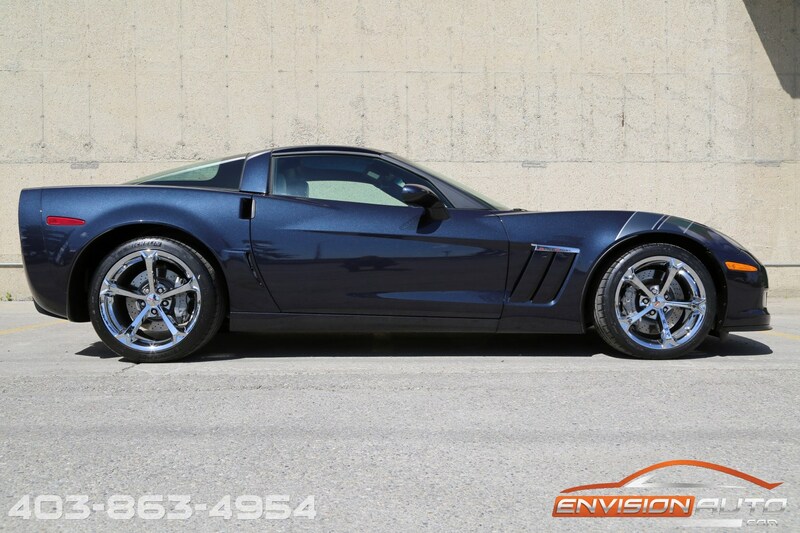 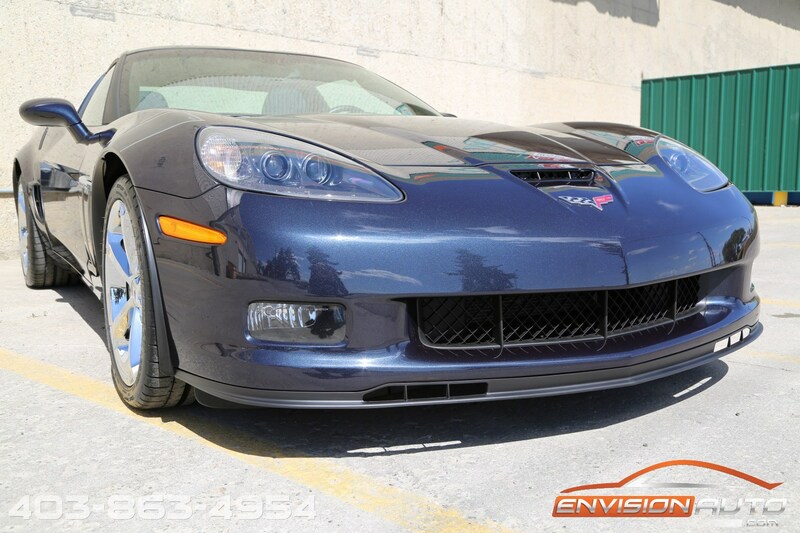 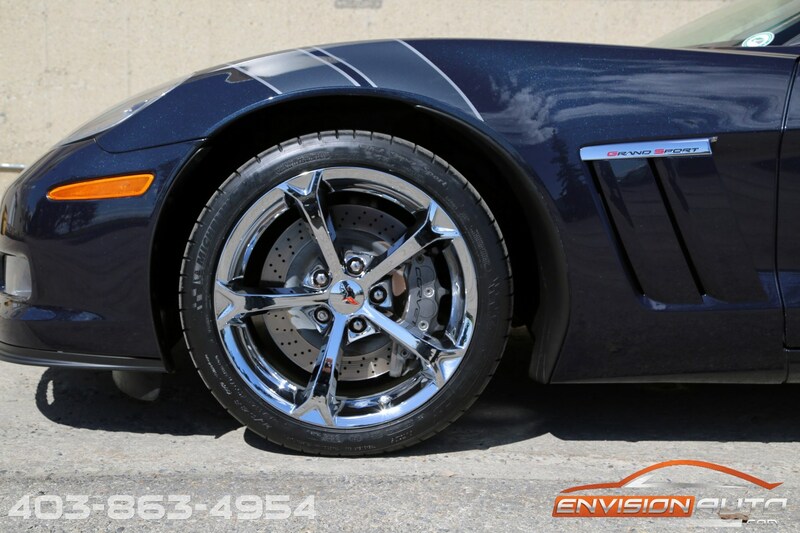 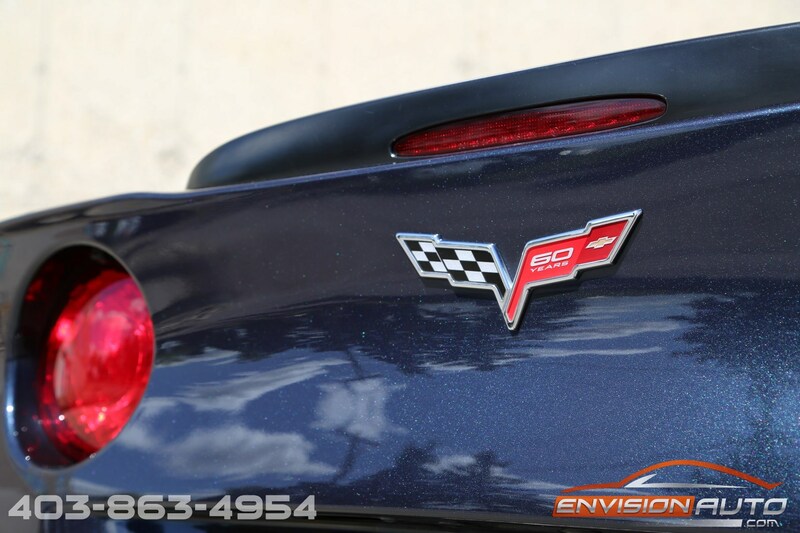 Absolutely zero powertrain modifications, all factory in every regard – everything correct for the discerning Corvette buyer and is guaranteed to sell quickly.